Pisa Pools Limited, trading as Mayfair Pools and Spas, a Central Otago swimming pool building company. With over 20 years of experience of pool building, the team at Mayfair Pools and Spas are an award winning pool building company that serves customers all over Central Otago and Southland area. Heritage Pools Limited based in Cambridge the Waikato New Zealand, has been actively involved in the design and construction of distinctive Swimming pool and Landscaping projects for over 32 years. We have an innovative approach to all of our work providing excellence in workmanship and personal service. 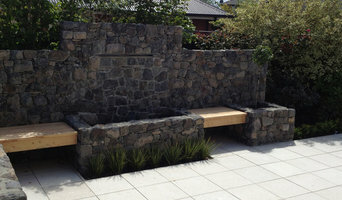 Heritage Pools has been a full member of the NZ Landscape Association for 28 years which provides clients with the assurance you're dealing with a company who has been independently certified in the fields of Landscape Design and Construction. We have the in house ability to manufacture acrylic pool windows to any most shapes and sizes you might require. Our fabrication and installation team have 17 years of experience in the heavy acrylic industry. Creative pool and garden design from a fresh and innovative perspective, combining strong architectural design highlights to build a stunning pool and landscaped garden that will transform your home. All landscaping projects, whether residential or commercial, are designed to enhance the entire outdoor living area of the property, and provide enjoyment for years to come. We create pre-engineered custom designed concrete swimming pools in the Nelson & Marlborough regions. Whether new or refurbished, inground or an above ground swimming pool, we will help you develop your own personal pool environment, designed to meet the unique needs and stylistic requirements of you and your family. Located in Canmore Alberta, Mountain Glow Tan and Spa offer spa and laster treatments like hair reduction, anti-aging, acne, tattoo removal, body contouring and more. After council approval, your contractor will commence construction, which can take up to two weeks for a fibreglass pool and longer for a concrete pool. Some companies extend their services to pool fencing, landscaping and the coordination of trades for filtration and heating equipment, as well as pool cleanings, water testing, renovations and equipment replacement or repairs. Here are some related professionals and vendors to complement the work of swimming pools & spas: Garden & Landscape Supplies, Landscape Architects & Landscape Designers, Building Project Managers, Landscape Contractors & Gardeners, Solar Power Contractors.